Egg tray production process explains how to make egg trays. We often evaluate its property on the basis of its stability and completeness. In general, a complete process includes pulp making system, molding system, drying system and packing system. 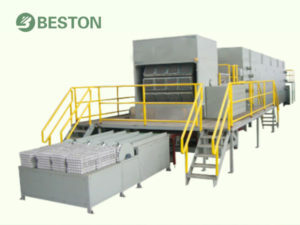 Beston Machinery, an accomplished egg tray machine manufacturer, has developed a complete and mature egg tray production line. Meanwhile, we have devoted to streamlining the making process to improve its stability and efficiency without increasing the labor input. In our egg tray manufacturing line, raw materials can be fully utilized without pollution and low energy consumption. From the workflow of the egg tray making process, you will find that each system is significant. They perform different roles independently during the egg tray manufacturing process. At the same time, each of them is also closely connected to each other. It is the first link of the egg tray production process to break the raw materials into pulp. In order to produce qualified paper pulp, we commonly use hydraulic pulper, pulp refiner, pulp pump and water pump. Except for these main machines, there are two pulp pools and a wastewater pool. One pulp pool is for storing pulp temporarily, while the other is for refining the pulp. The additives are mixed in the latter pool as well. 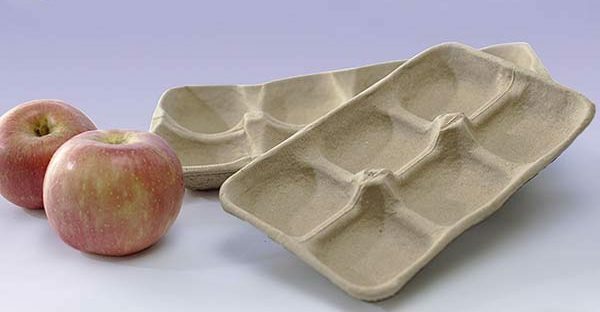 The quality of paper pulp makes a big difference in pulp molded products. 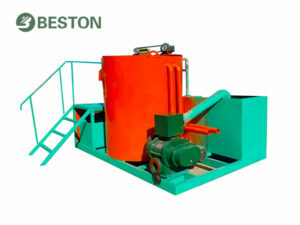 Our company offers reliable pulping equipment and professional training for all customers. In addition, we also have an integrated pulping system for small-scale egg tray manufacturers. It is the key step which matters the design and scale of a pulp molding production line. This system contains pulp molding machine, air compressor and vacuum pump. As the core part of the egg tray production process, it determines the quality and quantity of the whole production line. Beston Machinery has always concentrated on optimizing the design and the texture of egg tray making machine. Besides, we also provide a series of cleaning devices to flush the molds after demolding. In this system, we can produce different products with different molding dies. Obviously, it is vital to improving the design of molds. High returns are promising by means of our multipurpose pulp molding equipment with detachable molds. We always do more than products. The egg tray production line from Beston is free guaranteed for the first 12 months. And our engineers will be always ready to help you at any time. To partner with Beston, you can get professional advice and scientific training as well. Beston will provide you with the best products and service! This system is applied to dry the wet pulp products. It influences the automation level of the egg tray production process. There are four different drying modes, namely natural drying, brick drying line with carts, brick drying line with a conveyor belt and metal drying line. Different drying modes have different requirements on the labor force, fuel, climate and space. Based on the advanced technology, we have improved the internal structure of drying room to make full use of the heat. In this way, the drying efficiency has been greatly improved with the same energy consumption. Meanwhile, the external structure is also designed continuously to lessen the occupied area of an egg tray production line. We promise to offer the most suitable egg tray drying line based on the local conditions of customers. We can offer you different egg tray drying modes according to your conditions! The functions of this system are packing and counting. 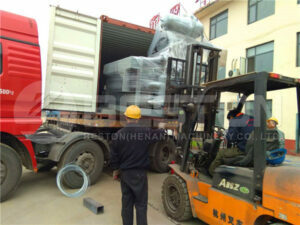 A fully-automatic packing system consists of a hot press machine, a packer and a counter. We use a hot press to make the appearance smoother by reducing the rough edges. While we install a counter to count automatically. After counting, we employ a packer to press the products compactly to save space. Our company sells these machines partially as customers require. We can also provide a complete egg tray packing system to reduce the input of labor force and improve the production efficiency of the egg tray production process. Beston has different egg tray packing machines for sale! How to Evaluate the Egg Tray Production Line Cost? The cost of a pulp molding production line is multiple. From the major terms, it contains the expenses of mechanical equipment and construction work. Except for the massive investment, it also allows for the input of labor force, fuels and raw materials, as well as maintenance costs. We have more than 10 different specifications of egg tray machines for sale. 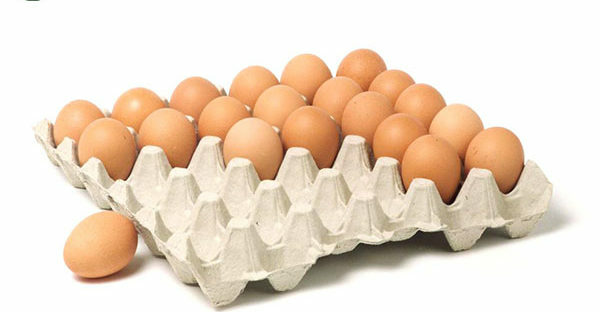 The range of products covers egg trays, egg cartons, shoe trays, fruits trays, etc. You can also customize the type and size you like. We will offer you the best egg tray production process according to your requirements. Furthermore, we have ameliorated the equipment involved to get the utmost out of energy. At the same time, our products are with high stability and automation to cut down labor input and maintenance costs. We can also provide our customers with collapsible molding dies. It makes the price of our egg tray making machine is competitive. Combining with our high-quality after-sale services, you will certainly have comforts while partnering with Beston Machinery. Finally, here are some videos about the different systems of our egg tray making process. 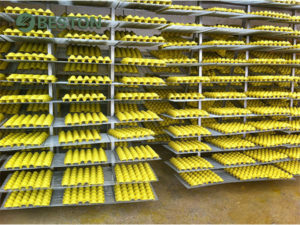 We always focus on making our egg tray production process simple and stable. With years of efforts, our clients have spread all over the world. Will you be the next one? Send us your requirements now!